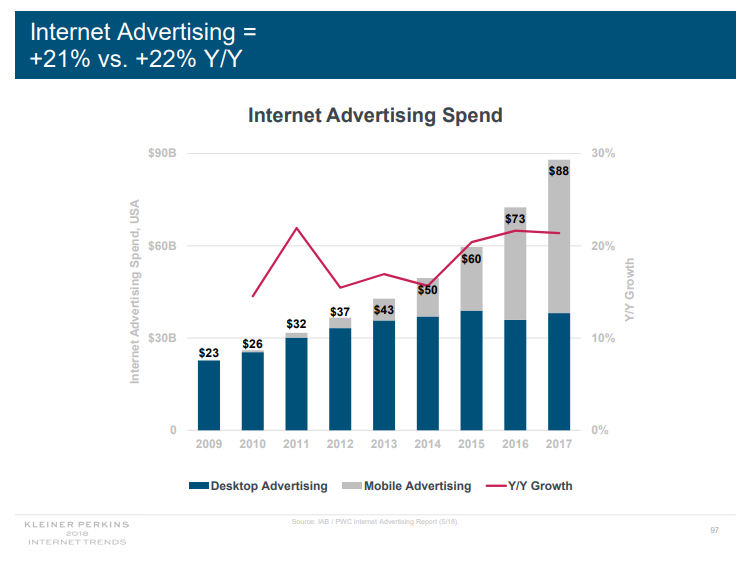 The presentation from Mary Meeker always contains plenty of thought-provoking ideas, and this year’s was no different. Among many findings, these 5 are the things that we found the most interesting. If you’re not familiar with Mary Meeker, she is a former Wall St analyst and partner at VC firm Kleiner Perkins Caufield & Byers. Her annual trends report at the annual Code Conference in California is one of the highlights in the tech calendar, packed full with insights and data that show how we use the technologies around us. The presentation always contains plenty of thought-provoking ideas, and this year’s was no different. These are the things that we found the most interesting – but maybe you have your own thoughts? You can see the whole presentation here. Half of the world is now online – and they are spending a lot of that time via their mobiles. 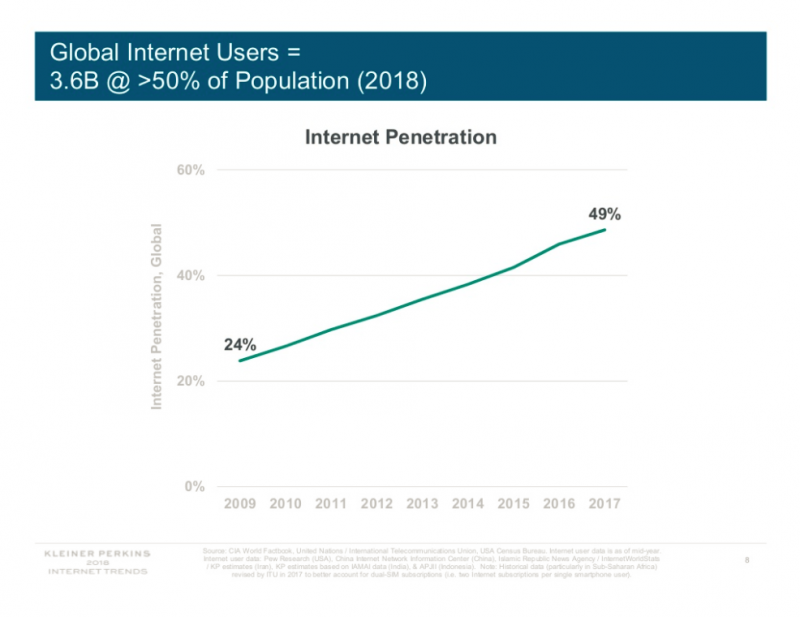 In Mary’s 2016 presentation she estimated that about 42 per cent of the world (roughly 3 billion people) were connected to the Internet. Now, two years on, this has grown to 50 per cent, which is 3.6 billion people. In terms of the time they are spending online, it continues to go up. 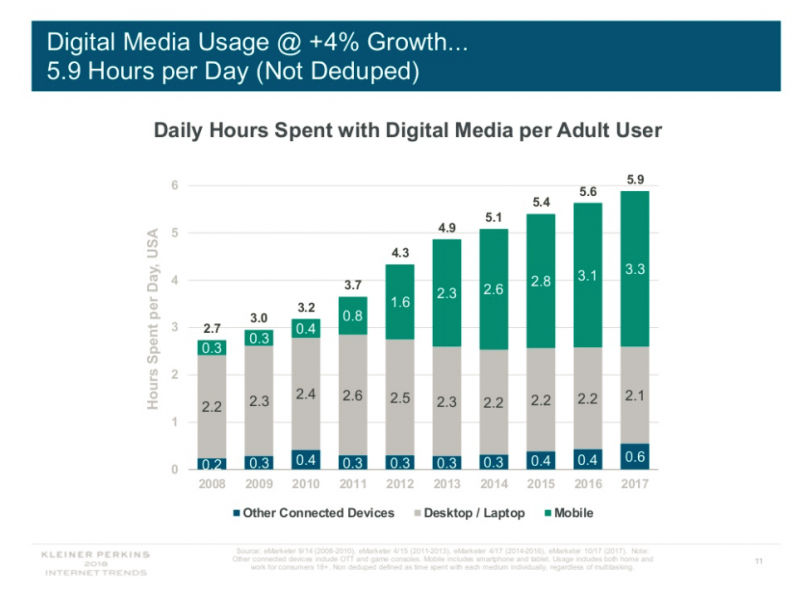 In the US, adults are spending 5.9 hours a day consuming digital media – that’s up from 5.6 hours last year. Crucially, more than half of that time – 3.3. hours – is spent on a mobile device. So it looks as though 2018 is the year where our time really has become mobile-first. 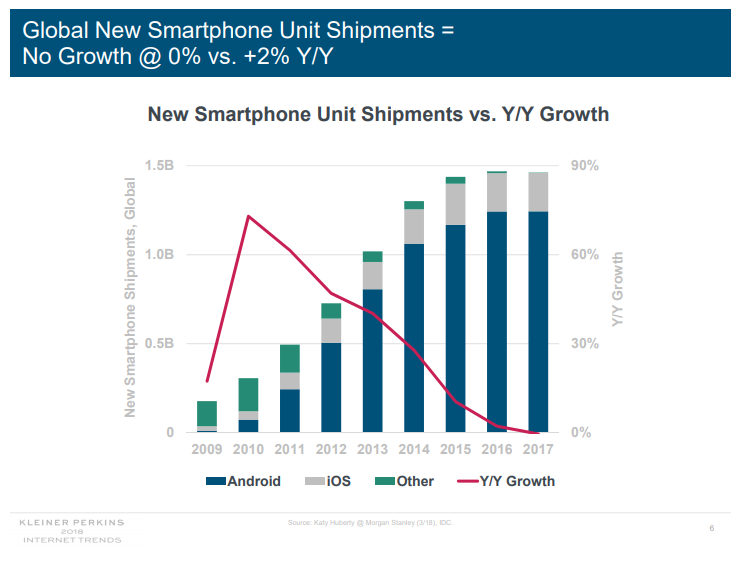 2017 was the first year in which smartphone unit shipments didn’t show any year-on-year growth. That’s not to say that hardware companies didn’t continue to sell lots of phones, or open up new markets; it’s just that overall global growth has stagnated. 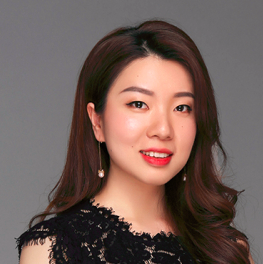 The popularity in China of everything-in-one apps like WeChat is often used as an example of how mobile payments and e-commerce may look in the future. 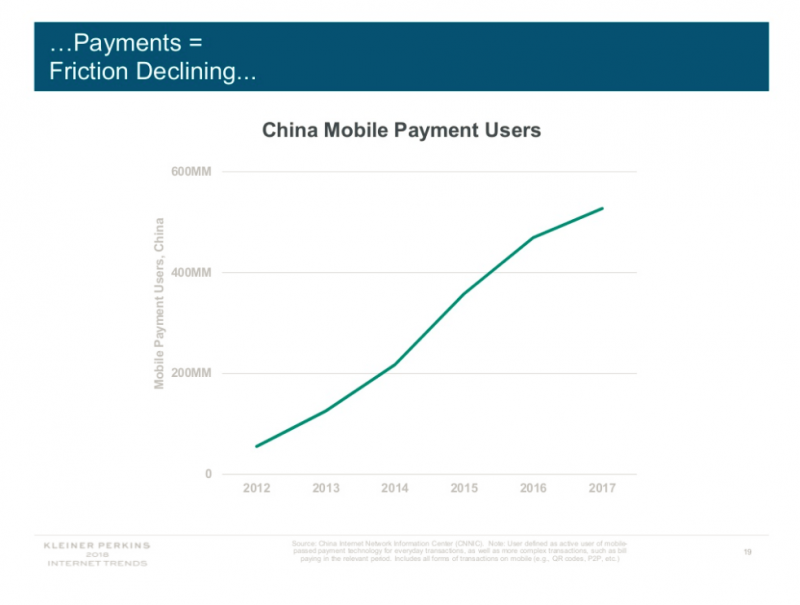 The data in this years report certainly backs this up, showing that with 500 million active users of mobile payments, China really is a world leader. It will be interesting to see how this grows over the next year – as China has more than a billion mobile subscribers, so there is plenty of room for growth. Although the US is still the leading home of internet companies, China is now home to nine of the twenty biggest global giants. 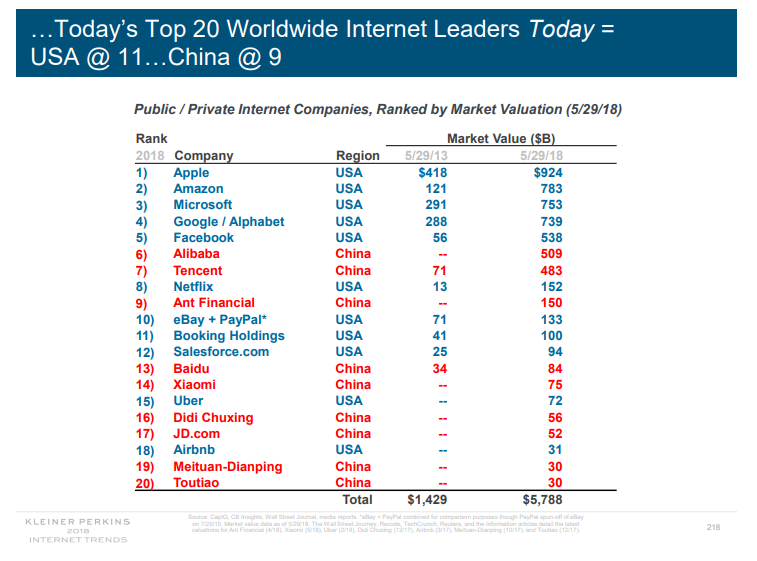 Compare this to 2013, when only two of the world’s biggest internet companies were Chinese. 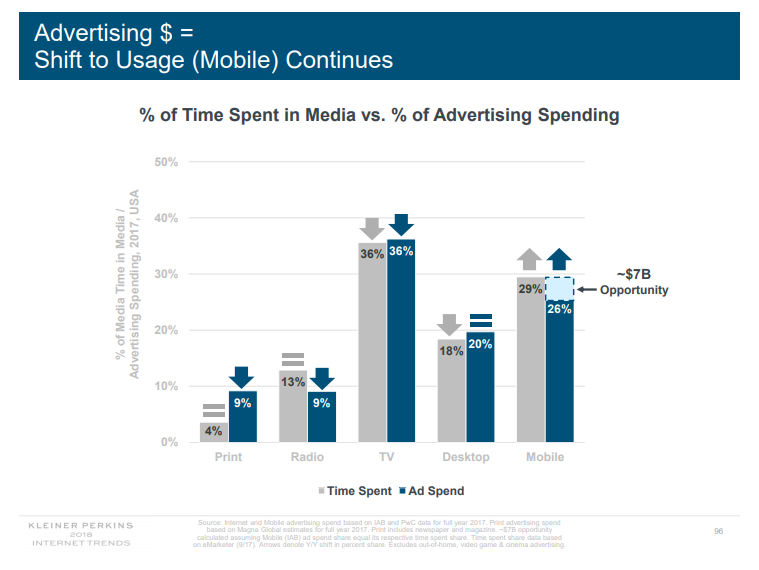 It’s well documented that as ad spend on TV and other traditional formats declines, more budget is being shifted onto mobile. After all, we’ve already seen that more people are spending more time on their phones. 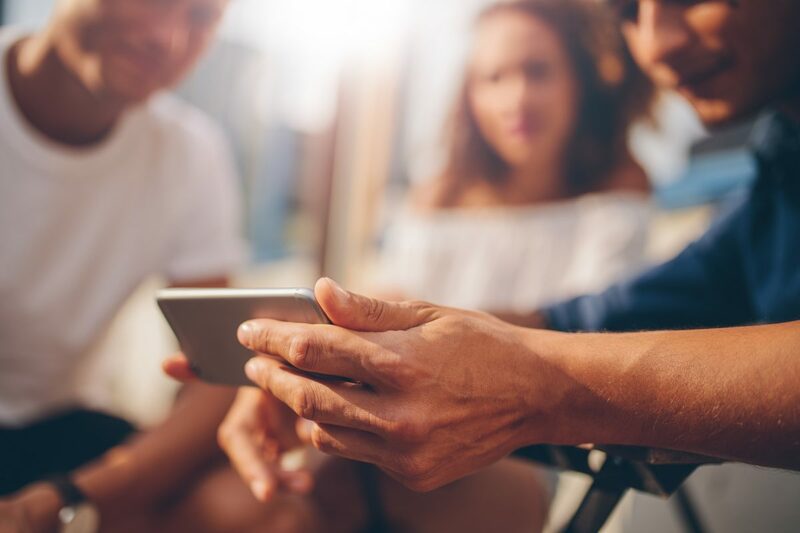 What’s perhaps most interesting is the $7 billion opportunity for mobile advertising, due to the disparity between the amount of time being spent on mobile versus the proportion of advertising spent on it. E-commerce sales growth is continuing to accelerate. It grew 16 percent in the U.S. in 2017, up from 14 percent in 2016. Amazon is taking a bigger share of those sales at 28 percent last year. Conversely, physical retail sales are continuing to decline.